Clive James pushes his Divine Comedy on the virtual book tour circuit. 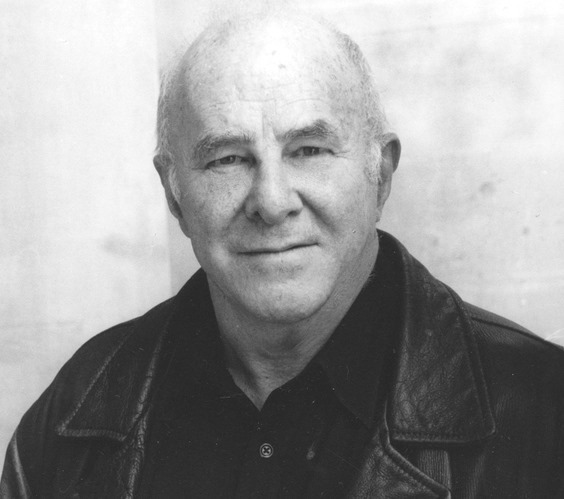 Clive James, the seemingly ubiquitous television talk show host, Formula One commentator, Australian book critic, leukemia patient, and occasional poet and lyricist, has tried his hand at translating Dante’s Divine Comedy. And being a public sort of guy, he’s been hitting the media circuit, at least virtually. The Divine Comedy is also a work of literary beauty that is beyond being antiquated by time or diminished by repeated translation. The latest has been undertaken by a writer who is perhaps best known for his pointed and funny criticisms of culture. But Clive James is also a novelist, humorist, essayist, memoirist, and radio and television host […]. Dante’s overt rhyme scheme is only the initial framework by which the verse structure moves forward. Within the terzina, there is all this other intense interaction going on. (Dante is the greatest exemplar in literary history of the principle advanced by Vernon Watkins, and much approved of by Philip Larkin, that good poetry doesn’t just rhyme at the end of the lines, it rhymes all along the line.) Especially in modern times, translators into English have tended to think that if this interior intensity can be duplicated, the grand structure of the terzina, or some equivalent rhymed frame work, can be left out. And so it can, often with impressive results, each passage transmuted into very compressed English prose. But that approach can never transmit the full intensity of the Divine Comedy, which is notable for its overall onward drive as much as for its local density of language. Dante is not only tunneling in the depths of meaning, he is working much closer to the surface texture: working within it. Even in the most solemn passage there might occur a touch of delight in sound that comes close to being wordplay. Still with Paolo and Francesca: in the way the word “diletto,” after the line turning, modulates into “Di Lancelotto,” the shift from “–letto” to “–lotto” is a modulation across the vowel spectrum, and Dante has a thousand tricks like that to keep things moving. The rhymes that clinch the terzina are a very supplementary music compared to the music going on within the terzina’s span. The lines, I found, were alive within themselves. Francesca described how, while they were carried away with what they read, Paolo kissed her mouth. “Questi” (this one right here), she says, “la bocca mi basciò, tutto tremante” (kissed my mouth, all trembling). At that stage I had about a hundred words of Italian and needed to be told that the accent on the final O of “basciò” was a stress accent and needed to be hit hard, slowing the line so that it could start again and complete itself in the alliterative explosion of “tutto tremante.” An hour of this tutorial and I could already see that Dante was paying attention to his rhythms right down to the structure of the phrase and even of the word. I have ordered a copy of this new translation, although from the preview offered on Amazon, I am not convinced that it lives up to other recent translations. Thanks for the post and the review. You’ve convinced me to buy the book and that it’s not the best Dante translation by a long shot. Why isn’t the first line something like, “At mid-point on the path through life, I found”? Well, his terza rima is really quite good after that. Is 560 pages too unwieldy for a three-volume single bound book? I know you are teasing me about the length since I complained about the forthcoming 3,000 page NA28+Rahlfs. Most versions I have of the Divine Comedy are diglots (which I think is the best strategy — because even a non-Italian reader can see what Dante is doing with rhythm, euphony, and rhyme) or have extensive notes and commentary. For example, my copy of Singleton’s translation (which is a prose translation, but has many merits) is six volumes — and you know, some of those volumes are unwieldy (the commentary to Purgatorio is 872 pages). Anyway, let’s see what the NA28+Rahlfs looks like. If it really has any extra material and is not just the two volumes shoved together, then I’ll gladly take back all my complaints. Let me just confess that in my own office library here at the moment, I have only three single-volume works that are over 1,000 pages: Alter’s and Fox’s respective Five Books of Moses and All Men are Brothers, the translation by Pearl S. Buck. Maybe I should count Anne Carson’s most unwieldy Nox, but one might argue that as long as it is literally it might not exactly count as a book. The NA28 is only around 1000 pages, as is the Rahlfs/Hanhart; so how are they adding another 1K pages? I’ve now received a copy of the Clive James translation, and hope to read it sometimes in the next few days. James gives us something sublime: a new way of reading a classic work. James’ version is not merely a mirrored word, but a transfigured word. As such, it will no doubt enter the essential Dante canon, and remain there for years to come. Is such a reading accurate? That’s not relevant. The question is: does this translation bring to light fresh appreciations for Dante? Along those lines, have you come across Mary Jo Bang’s translation? I just now ran across it on Amazon and was sufficiently intrigued to order it (but I am not sure I will like it at all). I would be interested in your reaction. Only a dense cage of leaf, tree, and twig, I was lost. You may have found Harriet Staff’s review (which links to a couple of others), and in it there are some interesting quotations of Bang, on her translation. Thanks for bringing Harriet Staff’s comments to my attention. I have to say that I do not fully understand her comments; partly because it seems that Staff had only read Canto 34 when she wrote her remarks, partly because I have not read Bang’s book (although I plan to), and possibly also partly because I seem to approach poetry very differently than Staff (and the commentators she quotes) . After I read Bang’s translation, I hope to go back and re-read Staff’s comment and follow her links. But, after reading quite a few mediocre Bible translations, it is refreshing to see the intelligence, care, and diversity that various translators bring to Dante.